What’s YouTube influencer marketing and how can you use it for your store benefit? Let’s find it out! Can you imagine the world without YouTube? Without these funny cat videos that perfectly brighten up the boring evenings? If you can, you’re my personal hero. Because I can’t. YouTube has become a huge part of our everyday life and an internal part of digital marketing as well. Besides that, they are consistently increasing! That’s why all the marketing experts in the world utilize YouTube as a really effective and highly promising promotion channel and regularly look for new marketing tips and tricks. 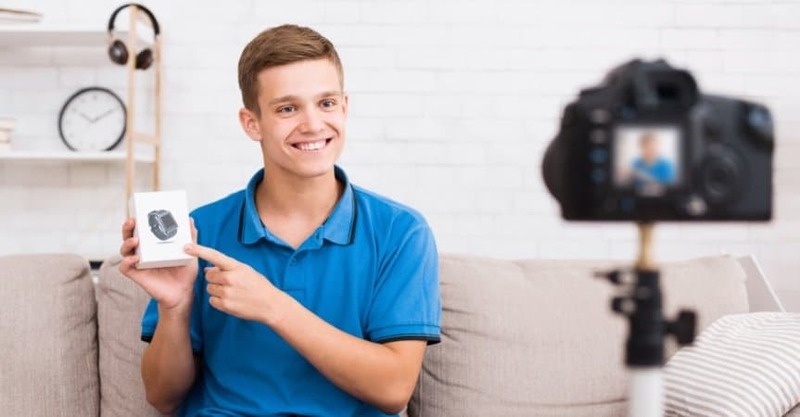 In this article, we’ll tell you about YouTube influencer marketing – a great way to promote your business on YouTube and boost your sales. But first, let’s look at some more reasons why you cannot go without YouTube marketing. Why use YouTube for marketing? To be more precise, our brain likes videos. According to some researches, we mostly perceive the world through our eyes and remember 80% of what we see. This is because our brain processes visual information 60,000 (!) times faster than any other types of content. We like pictures and videos because it’s easier and quicker for us to understand them. The best proof of this is traffic signs. It’s enough to cast a glance at a sign to clearly understand its meaning. So, the love for pictures and videos is in our blood (or brain? ), and there’s nothing we can do with it. Have you ever heard about the Loch Ness Monster? A big creature that lived in lake Loch Ness and often scared local residents? You know, lots of people believed in a large and ugly monster just because they saw SOMETHING with their own two eyes. Nobody could say what exactly they saw but they were sure that it was a monster. And no research or studies could convince them otherwise. As you can see, people trust their eyes above all, so include videos into your marketing arsenal and make the most of it. Very often, I watch videos that were created long ago. This is not because I’m a nostalgic type. This is because I just don’t have enough time to track all trends on the Internet. So I can stumble upon a great video even in a year after its publishing. The bottom line is simple: if you upload something on YouTube, it will be watched sooner or later. Just be patient and promote your video. When you start searching for something on Google, you will get YouTube videos among the first search results. Google thinks that videos are valuable content, so they are always shown up on the first page. However, just making great videos is not enough to get to the top. To get better chances, you definitely need to use different promotional tools. One of the best ones of them is YouTube influencer marketing. What is YouTube influencer marketing? 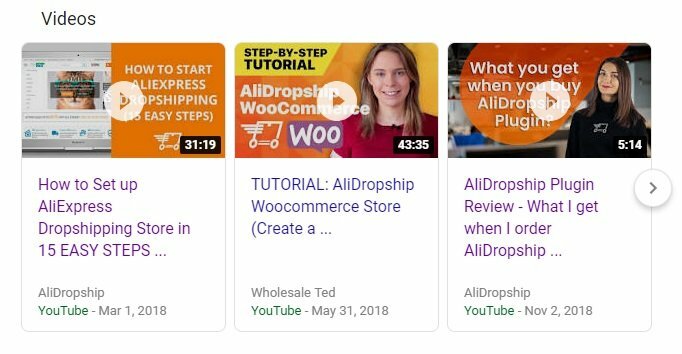 In simple terms, YouTube influencer marketing means asking YouTube bloggers for collaboration and inviting them to promote your store or products on their channels. YouTube influencers usually do advertising for money, but there is always a possibility to do it for free. Especially, if you start dealing with an upcoming YouTube star. Such promo videos work really well and can generate amazing results for your business. How to use YouTube for influencer marketing? Now, you understand why YouTube is a really great promotional tool which you cannot ignore. It’s a high time to move from theory to practice and follow our step-by-step guide. Nowadays, it seems that only a lazy person doesn’t have a YouTube channel. Housewives make videos on how to bake tasty cakes, and schoolchildren record their live streaming. However, among the rich variety of bloggers, you need to find those who are related to your niche. The number of subscribers is a way of measuring the success of YouTube channels. The more followers a channel has, the more interesting the content is for people. The more interesting the content is for people, the more views the channel will get. And this is exactly what we need! So, we recommend you to look for YouTube influencers having at least 50,000+ subscribers and to get in touch with them. Advertising on such channels will be really worth it! Besides the number of subscribers, focus on the number of views per video. Sometimes, YouTube account owners get involved in the so called “sub4sub rings”. They subscribe to other channels in exchange for subscribing to their channels. As a result, they get tons of ‘dead’ subscribers who will never watch a video. In order to avoid such cheaters, look through the list of videos and make sure that people really watch them. Some people like advertising videos, others don’t. That’s why before choosing YouTube influencers, you need to evaluate how their audience reacts to any type of ads. Go through the comments and look what people usually write about promotional videos. If the comment section is full of negative feedback, it’s better to search for another channel. Once you have found several YouTubers related to your niche, connect with them and ask if they do advertising. In order not to waste your time, we recommend you to create a sample message and send it to all the bloggers. Here is what we usually write. Hello! My name is [NAME]. I am the manager of the [STORE NAME] online store. We sell kawaii and cute clothes and accessories. We are looking for advertising partners on YouTube. Our team likes your [BLOGGER’S CHANNEL NAME] YouTube channel so much! Do you create promo reviews of kawaii merch? Are you interested in free promo on your channel? For example, I will send you a Totoro pencil case, you’ll make a promo video with it, and post it on your channel. Maybe you can suggest another type of advertising on your channel for us? Feel free to use our email as a sample or compose your own one. After getting the answers from your chosen YouTube bloggers, you need to analyze all the information received. We recommend you to create an Excel table and write all the details there. These aspects are very important for comparing all the bloggers and picking the one who offers the best price/quality ratio. After finding the most suitable YouTube blogger for collaboration, you need to discuss how you will interact with each other. Nowadays, most people don’t have enough time (or patience?) to watch lengthy videos. That’s why we recommend recording 2-5 minute promo videos that contain as much useful information about your products as possible. Remember, the shorter is a video, the more chances it has to be watched. Some YouTube influencers like to be the ones in control. They make all the decisions in regards to the video on their own and refuse to negotiate on any point. That’s why it’s better to discuss it in advance if you can look at the video script and change something according to your own vision. It’s a sad fact, but many people do not fulfill their promises. So, you need to discuss it in advance what both of you will do if anything goes wrong. The best way is to make a contract with the blogger and clearly define all the terms and conditions. However, if this is not possible, just write a detailed list of your needs and wishes. Discuss it with the blogger until you come to an agreement. This step is the easiest one. 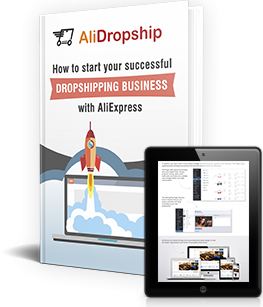 Just go through your dropshipping store and choose a product you like and want to advertise. 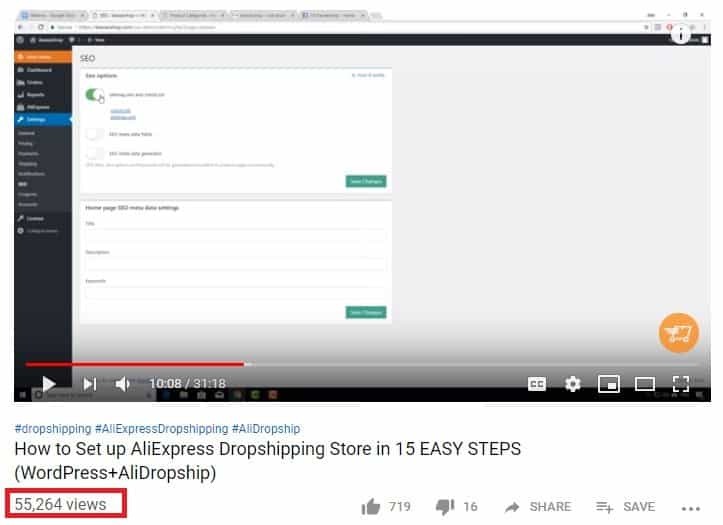 If you have any problems at this stage, feel free to read our article on how to find the best products on AliExpress and follow our tips. As it has been said, you need to check the promo video before it will be published. It’s not easy to change something in a ready video. However, if you notice some obvious mistakes or unnecessary details that you don’t like, don’t be shy to tell the blogger about it. Once your video has been published, it’s time to monitor people’s reactions, read comments and answer them. Be ready to accept criticism because it’s impossible to look nice for everyone, but don’t take it personally. Remember, even if people criticize you, your store or your products, you don’t have to lower yourself to their level! Be extremely polite and respectful because reputation is made in a moment. The last step is analyzing results and defining problems. The best way to determine that people came to your store thanks to your YouTube influencer marketing campaign is to offer promotional codes. These codes are great to motivate people to go to your store and buy something from you. What’s more, we recommend you to regularly use Google Analytics and monitor how uploading promo videos influences your traffic and sales. Without a doubt, YouTube influencer marketing is worth it. People like video content, which makes this marketing tool perfect to build your brand, collect leads and promote products you want to sell. 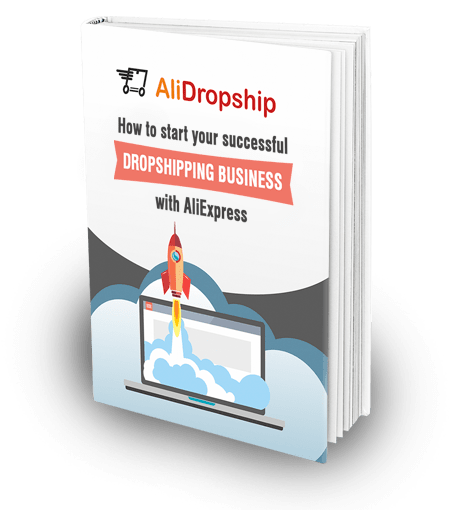 Use it regularly and you’ll find yourself among the lucky ones who hit a jackpot and built a highly successful dropshipping business!